The countdown continues, with the start of the 98th edition of the Tour de France now just 48 hours away. Having already reviewed the prospects of all 22 teams, here is a personal list of ten riders to watch out for who are each likely to animate the race at various points. I have also added a further ten ‘honourable mentions’ who have the potential for a high finish or dramatic stage wins. Objective: Individual time trial (stage 20). 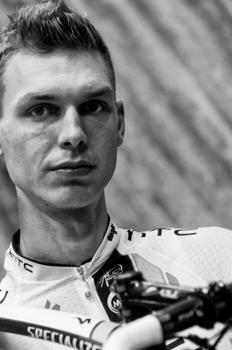 A stage win in the first week which could put him in the yellow jersey. ‘Spartacus’ is a possible stage winner and yellow jersey in the classics-style finishes of the first week, and will certainly start as favourite for the individual time trial, a discipline in which he is the reigning world and Olympic champion. He will feature regularly at the front of the Leopard-Trek train in the foothills of the mountains as they look to isolate Alberto Contador from his teammates and set up Andy Schleck. 2011 has been a mediocre season so far by Cancellara’s high standards, winning the E3 Prijs Vlaanderen but managing ‘only’ second at Paris-Roubaix and third at the Tour of Flanders. (Last year he won all three.) Nonetheless, he has recorded time trial victories at Tirreno-Adriatico, the Tour of Luxembourg and two at the recent Tour de Suisse, where he won the concluding hilly time trial on a course not dissimilar to the Grenoble parcours at the Tour. 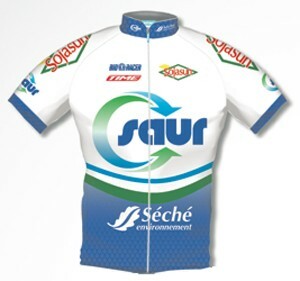 Objective: Sprint wins and the green jersey. It has been a quiet 2011 by the standards of the fastest sprinter on two wheels, with just four wins entering the Tour – although two came at the Giro d’Italia in May. Sometimes a slow starter, Cavendish has nonetheless amassed 15 wins at the last three Tours (including five last year) and will also be targeting the green jersey this year. When on form and presented with a flat finish, he is nigh on unbeatable. However, rival teams will adjust their tactics to try to eliminate him on the lumpier stages of the first week. 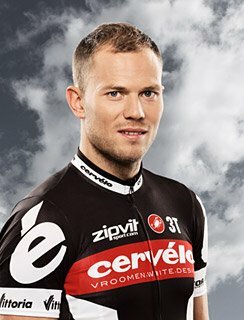 But while he is not as strong a climber as, say, Thor Hushovd, he is capable of winning hilly races in the right circumstances, as he proved at Milan San-Remo in 2009. Contador starts under the shadow of an ongoing doping appeal which could yet see him stripped of his 2010 Tour win and 2011 results. However, the Spaniard remains the consummate stage-race champion, having won the last six Grand Tours he has entered, including the 2007, 2009 and 2010 Tours de France and May’s Giro d’Italia, in which he won two stages and gifted two others. 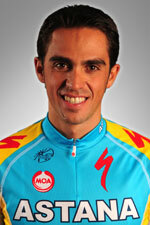 His form this season has been impeccable, including overall wins in the Vuelta a Murcia and Volta a Catalunya. The only question mark over him – in physical terms, at least – will be whether he has regained peak form having sat out the last few weeks to recover from one of the most gruelling Giros in memory. If he has, expect him to go on the attack as soon as the race hits the high mountains on stage 12 to Luz-Ardiden. But don’t expect to see much of him before then. Objective: Stage wins on days with uphill finishes in the first week, which could enable him to enjoy a spell in the yellow jersey. The newly crowned Belgian champion and the undisputed king of the spring Ardennes classics – he won Amstel Gold, Flèche-Wallonne and Liège-Bastogne-Liège in the space of eight days – will thrive on the uphill finishes scattered throughout the opening week. In particular, look for him on stages four and six. The former (which takes place on his 29th birthday) finishes on the third-category Mûr-de-Bretagne and is tailor-made for one of his trademark late attacks. Objective: A podium finish, to be achieved via strong rides in the high mountains. Rabobank’s team leader is one of the strongest individual climbers in the peloton, and is supported by a squad packed with mountain specialists. Bauke Mollema and Laurens ten Dam were fifth and eighth at the Tour de Suisse, Luis León Sánchez was 11th at the Tour and tenth at the Vuelta last year and Juan Manuel Gárate has three top ten finishes at the Giro to his name. Gesink is a decent time-trialist, and so far this year has won the Tour of Oman and added podium finishes in strong fields at Tirreno-Adriatico (second) and the Tour of the Basque Country (third). He finished sixth overall at last year’s Tour, and can be expected to ride aggressively in pursuit of a podium finish here. 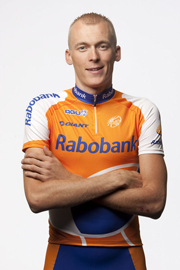 Look out for him as the final man in wave after wave of orange-clad Rabobank attacks in the mountains. 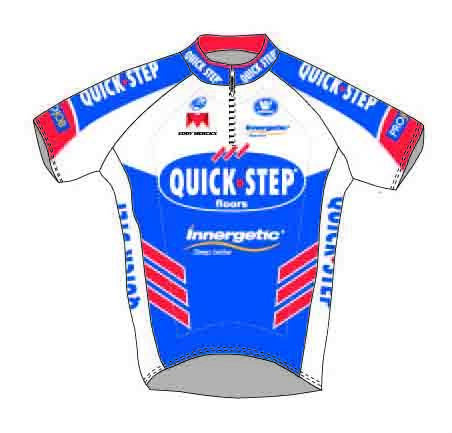 Objective: Earn and then defend the yellow jersey during the first week, probably via the team time trial (stage two). Individual time trial. Top 20 finish on general classification. The time trial may be his speciality – in which he is second only to Fabian Cancellara – but Martin is a good all-round rider who has the potential to finish in the top 20 overall (his best finish to date was 36th in 2009). That aspiration may be compromised by his role as a key member of Mark Cavendish’s lead-out train, but if HTC-Highroad win the stage two team time trial he is likely to claim the yellow jersey. At the very least he will expect to challenge Cancellara in the stage 20 time trial. He has already won the time trial at the Critérium du Dauphiné over exactly the same course earlier this month, which may give him an extra advantage. Objective: Wins, particularly on the lumpier flat stages. Green jersey. The reigning road race world champion is no match for Mark Cavendish in terms of outright speed but is a superior climber, which will favour him on a number of flat stages with tricky uphill finishes. On just such a finish at the Tour de Suisse a fortnight ago, he earned a confidence-boosting first win of the season. His climbing ability means he will also gain points over Cavendish and many of the other top sprinters at intermediate sprints on mountain stages. Even if he does not win any stages, he may potentially have the upper hand in the green jersey competition. The runner-up to Contador in each of the last two years, the younger Schleck has had a relatively quiet preparation for the Tour, placing a strong third at Liège-Bastogne-Liège before testing himself at the Tour of California (where he finished eighth) and the recent Tour de Suisse, where he had two very impressive days in the mountains interspersed with other mediocre efforts, which appeared to contain an element of sand-bagging. Although he performed well in the time trial at last year’s Tour it remains a weakness, so Schleck will be hoping to pull out an advantage in the mountains ahead of the penultimate day’s race against the clock. A less explosive but no less effective climber than Contador, the long, gradual climbs of the Alps will probably be better suited to his attacking style. Like Contador, he will hide in the anonymity of the peloton for the first half of the race, before launching targeted attacks in the mountains aided by brother Fränk. Fifth overall last year after stepping out of the shadow of the departed Cadel Evans, the Belgian climber is one of a handful of riders capable of putting in the kind of accelerations required to put his rivals under pressure in the high mountains. He was fourth at the Dauphiné and took a fine solo win with an impressive uphill attack. More of the same will be required if he is to achieve a podium finish this year, as he is not as strong a time-trialist as many of his immediate rivals. Objective: A stage win, either via a late attack on one of week one’s classics-style stages, or as part of a long breakaway in the mountains. Although not a contender for a high finish in the general classification, the much-loved Voeckler has considerable Tour pedigree, having honoured the yellow jersey for ten days in 2004 and twice winning a stage via breakaways. The lumpy nature of the first week will suit his punchy attacking style, but he is also a good enough climber to profit from a break on the tougher mountain stages too. He probably won’t succeed, but it will be glorious to watch one of the most spectacular and likeable men in the peloton regardless. Of the other key general classification contenders, Cadel Evans (BMC) has shown the most consistent form this year, taking an impressive stage win and the overall at Tirreno-Adriatico, winning the Tour of Romandie and finishing second at the Critérium du Dauphiné. Runner-up at the Tour in 2007 and 2008, he is a strong time-trialist and climber who lacks the acceleration to live with the very best in the mountains, but is a good each-way bet for a podium finish. The Dauphiné also saw the prospects of two other top riders heading in very different directions. Bradley Wiggins‘s (Sky) preparation has been low-key, but he followed up a useful third place at Paris-Nice by winning the Dauphiné. Ivan Basso (Liquigas-Cannondale) won the GP di Lugano and was fourth at Tirreno-Adriatico, but suffered an injury in a training accident in May and was poor in the mountains at the Dauphiné. The Italian has the stronger pedigree and is the superior climber when in form, whereas Wiggins lacks acceleration and will ride defensively in the mountains, hoping to stay in touch with the leaders and make up the gap in the time trial. 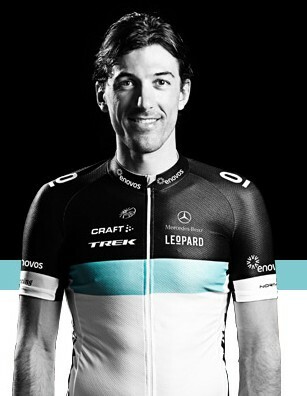 Fränk Schleck (Leopard-Trek) will provide half of a one-two punch in the mountains which his brother Andy hopes will expose Contador. Although his primary role will be to support Andy, he is a top rider in his own right, boasting two previous top five finishes and prestigious mountain stage wins at Alpe d’Huez (the last mountain finish this year) and Le Grand-Bornand. RadioShack have a trio of ageing musketeers – Chris Horner (39), Levi Leipheimer (37) and Andreas Klöden (36) – who each have overall stage race wins to their names this season (the Tour of California, Tour de Suisse and Tour of the Basque Country respectively). They will be joined in a four-pronged attack by Janez Brajkovič, the winner of last year’s Critérium du Dauphiné, but the Slovenian is more likely to be pushed into a support role here. 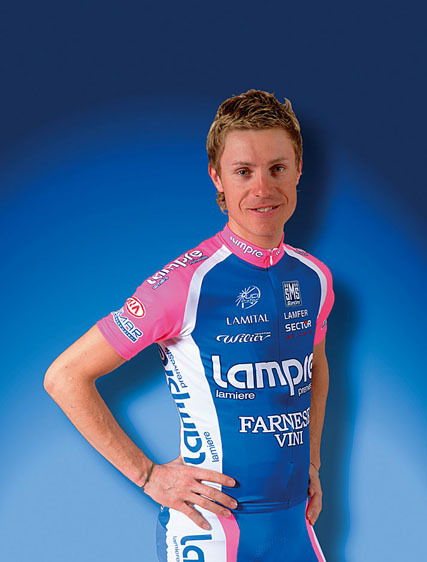 Lampre’s Damiano Cunego, a Giro winner in 2004, skipped his home race this year to focus on the Tour. He is a strong climber whose Achilles’ heel is time-trialling, as he demonstrated at the Tour de Suisse. He is certainly capable of improving on his previous best Tour finish of 11th (in 2006), but may struggle to challenge for the podium positions. Reigning Olympic road race champion Samuel Sánchez (Euskaltel-Euskadi) finished fourth last year and will look for better this time round. He will most likely target the Pyrenean stages where his team will receive the raucous support of hundreds of thousands of Basque fans. Finally, in what may well be his last Tour, Alexandre Vinokourov (Astana) will undoubtedly seek one last stage win with a kamikaze solo attack, either in the first week or possibly on one of the mountain stages which does not conclude with a summit finish. Just three days to go. If you’re not excited yet, have a look at this two-minute teaser video which is available on the official Tour de France YouTube channel. It’s a great montage with some spectacular images of Messrs Contador, Schleck, Cavendish, Hushovd et al in action on the mountains, flats and cobbles of last year’s race. If that doesn’t get your blood pumping, your mouth watering and your heart racing, then nothing will. Hopefully this year’s race will be just as exciting. The Tour de France, the second and largest of the year’s three Grand Tours, kicks off on Saturday with 198 riders representing 22 teams taking the start at the Passage du Gois and ending 22 days later on the Champs-Élysées in Paris. This and tomorrow’s post will provide a quick overview of each of the 22 teams and their sponsors, their likely objectives for the race and the key men to watch out for. All team line-ups are subject to change, but accurate at the time of writing. Sponsor: A French insurance provider. Overview: Nicolas Roche and Jean-Christophe Péraud will lead the team, with John Gadret a potential winner in the mountain stages. Roche was 15th overall last year and followed that up with seventh place at the Vuelta a España, and will be hoping for a top ten finish. Péraud is a solid all-rounder and a strong time-trialist. Gadret will look to make his mark in the mountains, although how well he has recovered after the Giro d’Italia – in which he took a stage and finished fourth overall – remains to be seen. Hubert Dupont (12th at the Giro) and Christophe Riblon will provide strong back-up on the big climbs. Sponsor: A Kazakh business consortium. Overview: In what is likely to be his last Tour, Alexandre Vinokourov will be targeting a podium finish to match his third place in 2003. Roman Kreuziger, sixth at the Giro, will serve as his wing-man, with additional support in the mountains from climbers such as Paolo Tiralongo (a stage winner at the Giro) and Rémy Di Gregorio. Sponsor: A Swiss bicycle manufacturer. 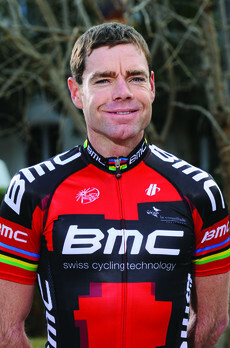 Overview: BMC will focus solely on supporting Cadel Evans‘ quest for the yellow jersey. The 34-year old Australian has tailored his 2011 programme specifically with the Tour in mind, winning the early season Tirreno-Adriatico and Tour de Romandie stage races, and finishing a strong second behind Bradley Wiggins at the recent Critérium du Dauphiné. He will be ably supported by the experience of George Hincapie (making his record-equalling 16th Tour start), Marcus Burghardt and Steve Morabito. Former world champion Alessandro Ballan has been omitted pending an ongoing investigation. Sponsor: A French credit company. Overview: The wild-card squad will be jointly led by French veteran David Moncoutié and the 24-year old Estonian Rein Taaramäe. 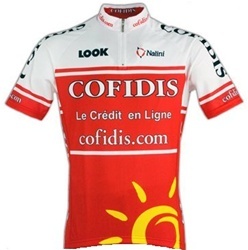 Moncoutié will look to shine in the mountains as he attempts to add to a career record of three consecutive King of the Mountains jerseys at the Vuelta and two Tour previous stage wins. Taaramäe, an impressive fourth overall at Paris-Nice and third at the Critérium International, has yet to complete the Tour but will be one of the favourites for the white jersey for best young rider. Leonardo Duque and Samuel Dumoulin are highly unlikely to beat the top sprinters such as Mark Cavendish and Alessandro Petacchi in a straight bunch finish, but will look for high placings overall in the green jersey competition. Sponsor: A French car rental company. 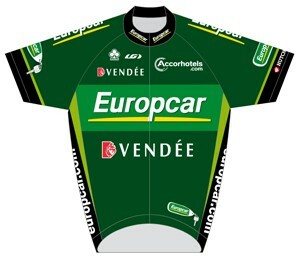 Overview: An all-French wild card entry, Europcar will focus on the swashbuckling Thomas Voeckler, winner of two stages at previous Tours and the wearer of the yellow jersey for ten days in 2004. A punchy rider and a decent climber who is never afraid to attack at the drop of a chapeau, Voeckler will feature regularly in breakaways in search of a stage win and will likely target several of the first week’s stages, particularly given that Europcar’s home is in the Vendée region where this year’s race begins. Christophe Kern is in fine form, having just won the French national time trial championship and claimed an impressive solo mountain victory at the Dauphiné. Anthony Charteau is also a strong climber, although a repeat of his 2010 King of the Mountains win is unlikely given the greater emphasis on the four big summit finishes in this year’s competition. Sponsors: A Basque telecoms provider and regional development agency. Overview: The Basque country team’s primary aim will be to support Samuel Sánchez as he looks to improve on last year’s fourth-place finish. Sánchez has had a strong but relatively quiet spring, finishing third in the Flèche Wallonne one-day classic and fifth at Paris-Nice. The team is packed full of Spanish climbers, with experienced campaigners Egoi Martínez, Amets Txurruka and Gorka Verdugo joined by the youthful Gorka Izagirre, who will look after their leader in the mountains and are also capable of stage wins themselves. Sponsor: The French national lottery. Overview: Another wild-card team, featuring eight Frenchmen in their nine-man line-up. With Pierrick Fédrigo absent due to poor form and ongoing back problems, Sandy Casar will lead the team. Casar is a canny racer with a good sprint who is adept at winning from small breakaway groups – he has three Tour stage wins in the past four years. William Bonnet and Jérémy Roy are both former stage winners at Paris-Nice, and Rémi Pauriol is a capable climber, but the rest of the squad is young and lacking in experience. 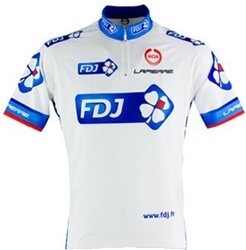 Other than providing support for Casar, expect to see FDJ riders appearing frequently in breakaways. Sponsors: A US-based multinational manufacturer of GPS systems and a Canadian bicycle manufacturer. Overview: One of the strongest overall squads includes three top ten contenders, two of the green jersey favourites and strength in both the individual and team time trials. At 33, Tom Danielson is making his Tour debut but can already boast three top ten finishes at the Vuelta. The injury-prone Christian Vande Velde finished fourth in 2008 and eighth in 2009 but crashed out early last year, only for Canadian Ryder Hesjedal to step up and finish seventh overall. The superior climbing legs of Thor Hushovd are likely to take precedence over Tyler Farrar in the green jersey competition. However, the American should be the better prospect on flat finishes, although his already sluggish 2011 season stalled after the death of his close friend Wouter Weylandt at the Giro. The two Davids, Millar and Zabriskie, will double up on both lead-out and time trial duties, and Garmin will eye the possibility of the yellow jersey if they can win the team time trial. Sponsors: A Taiwanese smartphone manufacturer and the management company of team manager Bob Stapleton. Overview: As ever, Mark Cavendish will be the primary focus as the team looks to help him add to his total of 15 Tour stage wins. 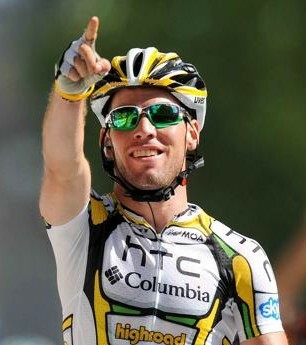 Bernhard Eisel will man the engine room of HTC’s lead-out train, while Matt Goss and lead-out main extraordinaire Mark Renshaw will do the speed work in the final kilometre to deliver Cavendish where he needs to be in the final 200 metres. Peter Velits (third at last year’s Vuelta) and Tony Martin (winner of this year’s Paris-Nice) are both strong time-trialists with the potential to challenge for a top ten finish in the general classification. Martin is also the most likely challenger to Fabian Cancellara in the individual time trial, having won over the same course at the Dauphiné at the start of June. 22-year old Tejay Van Garderen, a future GC contender, will take part in his first Tour and has an outside chance of winning the white jersey. HTC also have an excellent record in team time trials, having won such stages at the beginning of the Giro and last year’s Vuelta. A repeat here could propel one of their riders into the yellow jersey. Sponsor: A Russian business conglomerate. Overview: With Joaquim Rodríguez pencilled in for the Vuelta, Katusha have named an all-Russian team for the Tour. 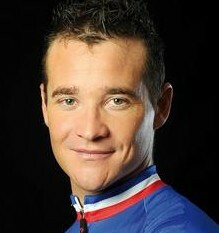 Vladimir Karpets, a former winner of the white jersey (in 2004) will lead the team, hoping to improve on his 12th place in 2009. On the flat stages, sprinter Denis Galimzyanov will seek to add to his stage victory at the Tour of Luxembourg in early June. New Russian champion Pavel Brutt, time trial specialist Mikhail Ignatiev, Alexandr Kolobnev (who was fifth at Amstel Gold) and Vladimir Gusev add considerable experience to the squad, who will probably seek to place men in breakaways as often as possible. Sponsors: An Italian sheet steel manufacturer and a Ukrainian steel manufacturer. Overview: Lampre will target both the yellow and green jerseys through Damiano Cunego and Alessandro Petacchi, the winner of the points competition last year. Cunego, who won the Giro in 2004, has never managed higher than 11th overall at the Tour. However, he comes into this year’s race in fine form, having lost out on winning the Tour de Suisse by just four seconds after a poor time trial on the final stage after riding superbly in the mountains. The yellow jersey is probably beyond him, but he is certainly capable of at least a top five finish. Petacchi will seek to defend the green jersey he won on the back of two early stage wins last year. He also showed his enduring speed and experience in edging out Cavendish to take his 22nd career Giro stage in May. As usual, Danilo Hondo will be Petacchi’s wing-man on lead-out duty. 1 – Bradley Wiggins and Lizzie Armitstead both won their first British national road race titles yesterday. Armitstead had finished second in each of the last two years, while Wiggins will now wear the British champion’s jersey at the Tour de France, which starts on Saturday. 0 – Number of goals conceded by Switzerland en route to the UEFA under-21 final. However, Spain scored late in each half to claim a 2-0 victory to add the European under-21 title to their World Cup and European Championship trophies at senior level. 2 – Britain’s Alistair Brownlee won the European triathlon title in Pontevedra in Spain, with his brother Johnny finishing second. 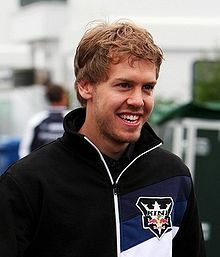 6 – Sebastian Vettel claimed his sixth win of the Formula 1 season (out of eight races) at the European Grand Prix in Valencia. He has now won eight of the last ten races dating back to the end of last season. 0 – Number of retirements during the European GP, only the fourth time this has happened at an F1 race (1961 Netherlands (15 starters), 2005 USA (six), 2005 Italy (20), 2011 European (24)). 48 – Leicestershire were bowled out for just 48 in their second innings as they lost their County Championship game against Northamptonshire by an innings and 155 runs. David Lucas took 5/20 to finish with a match return of 9/75. He also scored 60 with the bat. 3 – Rory McIlroy‘s US Open win, coupled with Martin Kaymer‘s failure to finish in the top eight at the BMW International Open, moved him up to number three in golf’s world rankings. UK golfers now occupy the top three places, with the top two being Luke Donald and Lee Westwood. 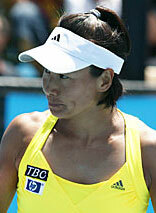 15 – 40-year old Kimiko Date-Krumm recorded the first victory of the entire tournament, defeating Britain’s Katie O’Brien 6-0 7-5. It had been a record 15 years since her last singles win at Wimbledon, having retired from tennis between 1996 and 2008. 15 – Number of consecutive games won by Andy Murray to close out his 4-6 6-3 6-0 6-0 first round win over Daniel Gimeno-Traver. 34 – Games required by John Isner to beat Nicolas Mahut 7-6 6-2 7-6 in their first round match. When the pair met at the same stage last year it took 183 games and over 11 hours of play, in the longest match in the history of tennis. 143 – In mph, the fastest serve of the tournament’s first week, by the American Andy Roddick. 45 – Sabine Lisicki took just 45 minutes to win her first round match against Anastasija Sevastova, 6-1 6-1. 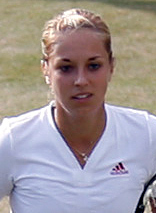 Lisicki has also recorded the fastest serve in the ladies’ competition so far, at 124mph. 0 – Number of times Novak Djokovic has attempted to serve and volley in his three matches so far. 0 – Number of sets lost by Roger Federer and Rafael Nadal in the tournament’s first week. 72 – Spain’s Feliciano López hit 72 aces during the first week, the most by any player. 40,076 – Total number of points played across the first three rounds of the men’s and ladies’ singles. 2,908 – Total number of aces served in the first three rounds of the two singles competitions – an average of one every 13.8 points.